By mysterious means, the much-loved Mole (from The Wind In The Willows) finds himself in a modern adventure which leads him to a series of extraordinary encounters, far removed from the bucolic original. Kenneth Grahame's familiar characters reappear here in drastically altered guises, in a book that is by turns an Orwellian satire on contemporary affairs, a rumbustious comic novel, and a heart-rending elegy for an all-but-vanished rural England. Few targets escape the author's scathing eye, be they New Right politicians, intensive farmers, machinating corporate bosses, foxhunters, computer gurus, or the architects of World Trade. Not to mention the poseurs of modern art. 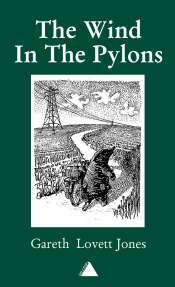 The Wind In The Pylons is a cult classic in the making, an affectionate pastiche of an old masterpiece, and arguably the first definitive environmental and counter-corporate satire. Gareth Lovett Jones's prose will have you chortling with laughter even as you are crying at the shame of it all. Following the critical acclaim of volume one, volume two sees the Mole continue his adventures, with a cycle ride across modern-day Eastern England, in a vain attempt to find a ‘fit bit of turf’ that he might call home, and in the concluding part, he meets, through the good offices of Humfrey Wyvern Toad, with the major players in what might be described as global capitalism, and discovers what their real agendas are.